Have your cake and eat your candles, too! Celebrate a friend or loved one's special day with a birthday gift delivery that will bring a smile to their face! 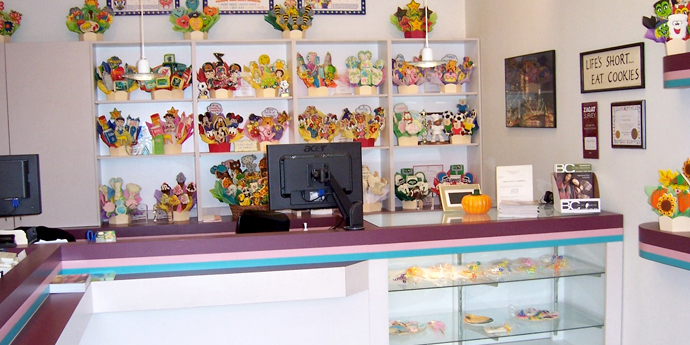 For over 25 years, Cookies by Design of Englewood NJ has been helping customers in the New York Metropolitan Area with their gift giving needs by providing beautifully decorated cookie arrangements, an extensive gourmet cookie selection, as well as other specialty gifts like Truffles and Brownies. We handle individual and corporate gift giving with custom cookie bouquets and gift baskets for any occasion. Our cookie experts are here to help craft the perfect unique gift for your celebration. Each of our signature sugar cookies is freshly baked and hand-decorated right in our bakery and can be customized with a name, special message, logo or even a photo. 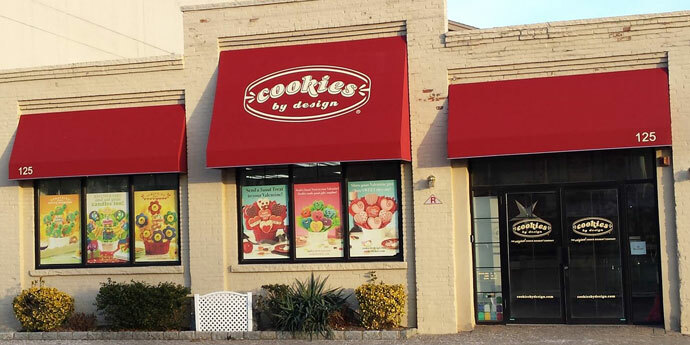 Stop in our cookie bakery at 125 North Dean St., just north of the Englewood NJ downtown area, and catch the aroma of our fresh baked gourmet cookies and treats. We are next door to Exxon, across the street from TD Bank and right behind Lexus's service center. Grab a treat for yourself or have a gift basket delivered to a loved one. Parking is available in the parking lot behind our building. We offer cookie delivery or shipment to all areas in the NY Metropolitan Area and in New Jersey north of 195 in Ocean and Mercer counties. These areas include Bergen, Hudson, Passaic Essex, Morris, Union, Middlesex, Monmouth, Ocean, Mercer, Somerset, Hunterdon, Warren and Sussex counties in New Jersey as well as Rockland and Orange counties in New York State and most of New York City and parts of Brooklyn. We are the closest Cookies by Design to mid-town Manhattan! Same day delivery is available in most areas.